*Disclaimer: I received this wine as a sample from the PR company for the brand. Eenie meanie miny mo, which Pinot should go? 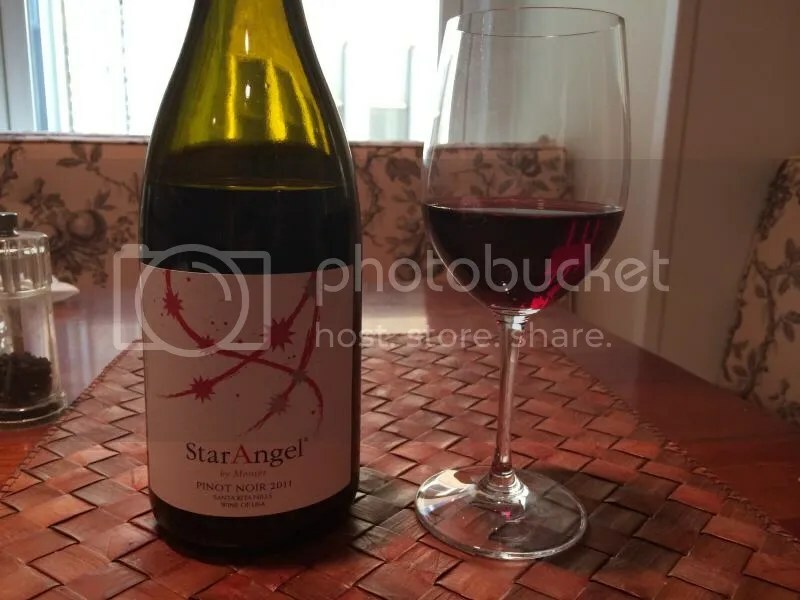 Tonight it was the 2011 Star Angel Santa Rita Hills Pinot Noir. The Star Angel has a real cork closure and retails for about $27. 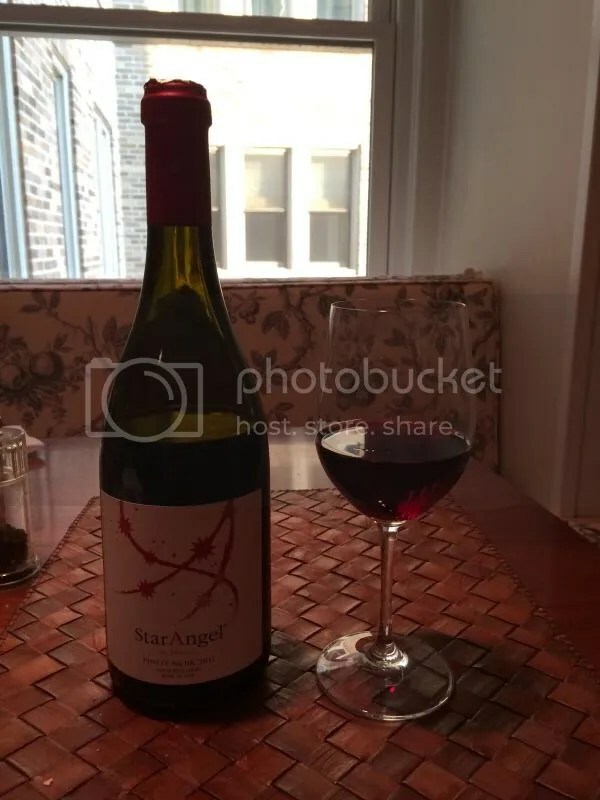 It hails from the Santa Rita Hills in California, though the Star Angel brand is the invention of the winemaker for the Montes brand from Chile. 1.) Serve this at cellar temperature or slightly below. 2.) As it warmed I found the wine a bit soft. 3.) I served this with salmon, one of my go-tos for Pinot. I think I’d serve it with a vinegar based BBQ sauce given a 2nd chance. 4.) 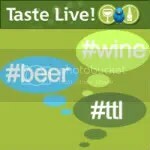 Overall, the wine is ripe and plush and would be a crowd pleaser for those “I don’t like red wine” folks. On the nose I got spice, pepper, strawberry, and smoke. In the mouth I found strawberry jam, raspberry, and other plush red fruits. There was some acidity on the finish.